A showreel of images culled from Spike Associates members’ research material and produced by Menna Cominettil. An ensemble of musically-inclined Associates (Phil Owen – Viola, Benjamin Owen – guitar/percussion and Matt Davies – 1/4″ tape, radio and field recordings) provided a soundtrack to the visual projection in three improvised performances over three days. 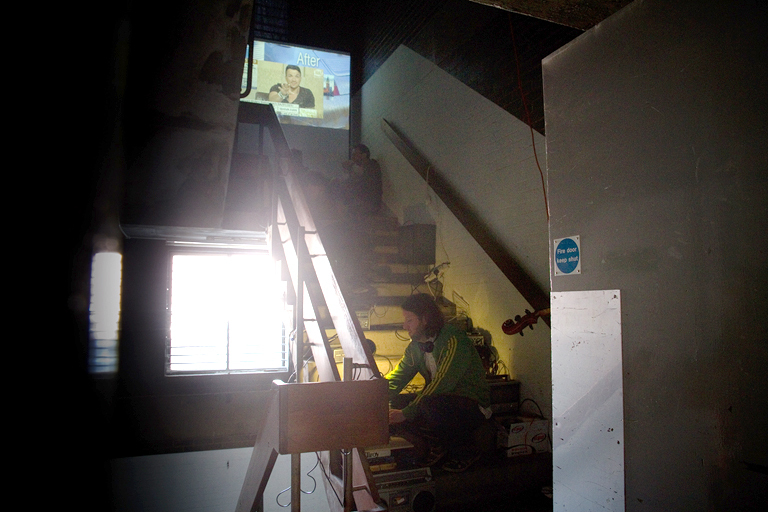 Approximately three hour long performances as part of the Spike Island Open in Bristol, 2013. Additional musicians included Tina Hitchens – flute, Brian Monohan – harmonium, Stuart Chalmers – Cassette tapes and Andy Keep – Electronics.